Llamas connected the vast Inca Empire of the rugged South American Andes. They connected the mines of the altiplano (12,000-16,000 feet of elevation) with the lower agricultural and population centers. Food and supplies up, and ore down; they always had a back haul. They didn’t just survive a tough environment, they thrived in it. They are athletic and surefooted and can negotiate deadfall, talus, and slick rock. Low impact soft hoof does not cut soil and requires no shoe for protection. Their low key, controlled disposition helps them avoid over-reaction and makes them safe and easy to handle. 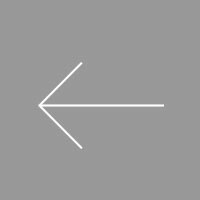 They are efficient browsers eating small amounts of a variety of forage and are able to sustain themselves in the backcountry without supplement or heavy impacts, and with little water. They have a soft, padded hoof which gives them superior traction and negligible impact on trails and vegetation over which they traverse. Their gait is evenly matched to that of the average hiker and their quiet demeanor and low-key disposition makes them safe and easy to handle. These qualities offer wilderness users of all levels a pack animal that fits easily into their existing packing routine, preserves the aesthetics of their experience, and at the same time extends their range and comfort. 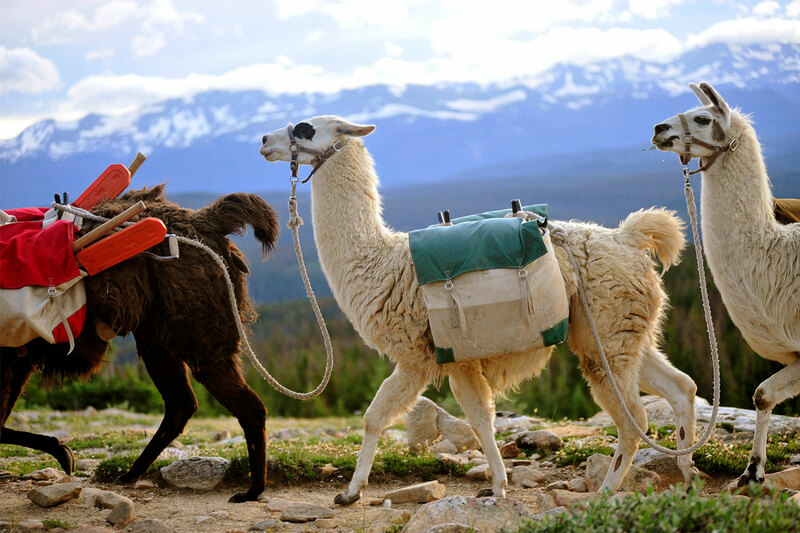 Trail maintenance crews, fire fighters, photographers, fishermen, hunters, climbers and others requiring additional capacity find llamas to be an ideal solution. 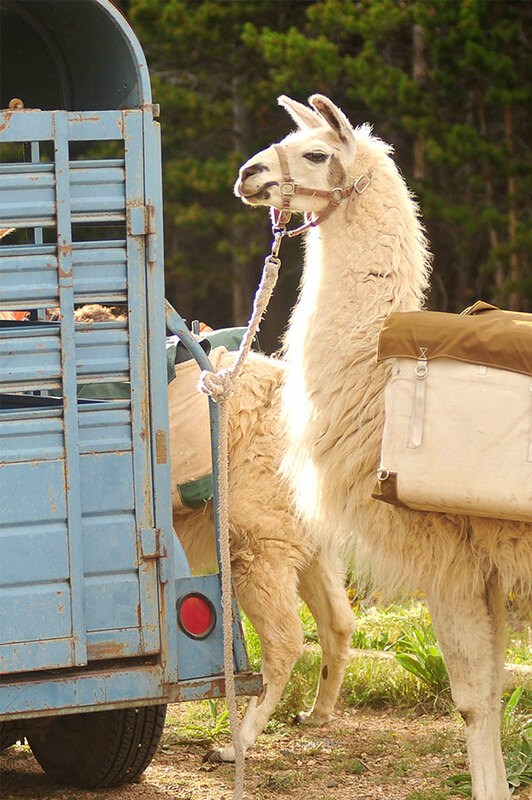 Llamas have many beneficial attributes that make them a preferred choice for pack animals. Llamas only need to eat a tenth of the amount that a horse or mule does. 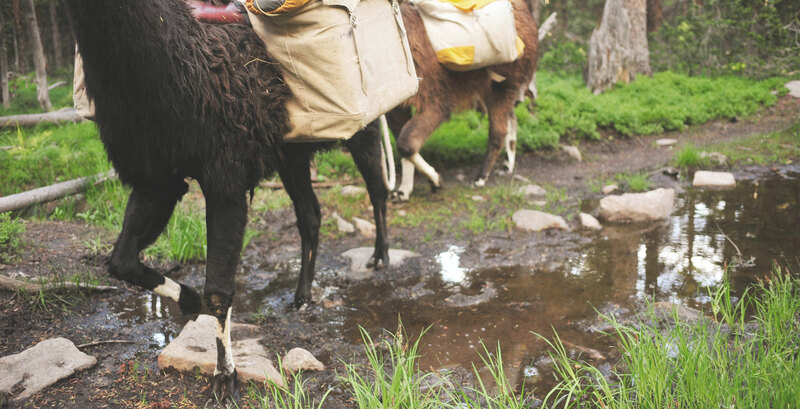 Llamas utilize lower protein, less palatable forages and don’t require supplemental feed in the backcountry. Llamas' low impact soft hoof does not cut soil and requires no shoe for protection. Llamas’ acute vision, hearing, and sense of smell can help a hunter spot game. Their quiet demeanor reduces game awareness. They are not blood shy and are comfortable packing meat. Llamas are naturally healthy, have no endemic diseases, and pose no disease threat to wildlife. Llamas adapt well to different modes of transportation. 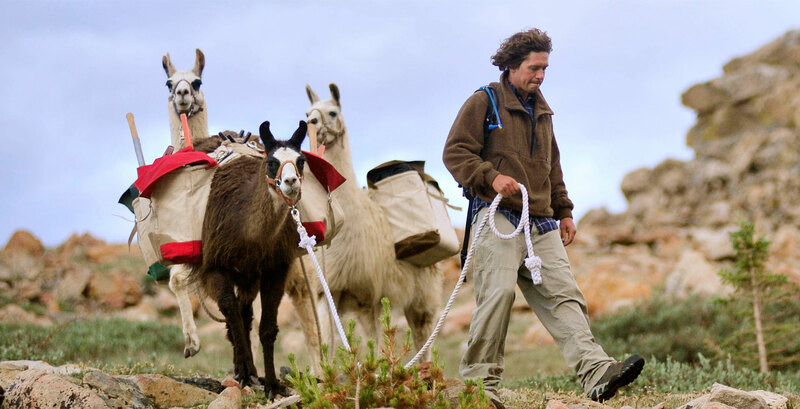 Use of llamas as pack animals has a very low impact on the environment. For this reason, they are the pack animal of choice in sensitive ecosystems of alpine and desert environments. 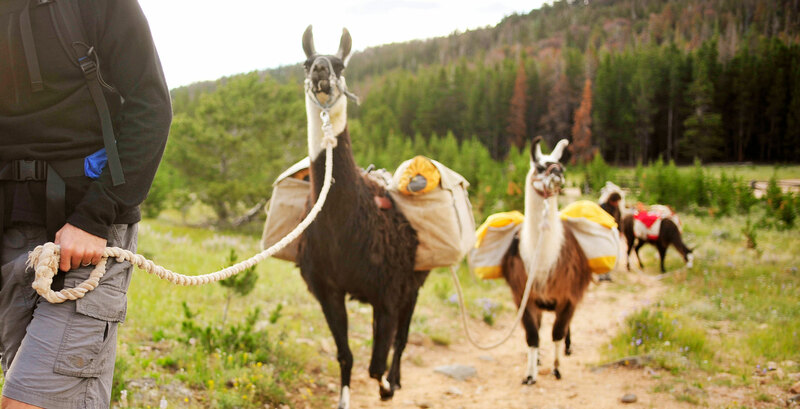 Llamas are a huge asset in the backcountry in a wide range of applications. They are a superior assist animal for hunting, recreational packing, backcountry maintenance, private business, education, and military applications. Llamas are camelids and browse small amounts of vegetation from a wide variety of plants, digesting them efficiently and lowering their impact on vegetation . Their manure has a low nitrogen content, eliminating "plant burn" common to simple stomached animals whose manure contains higher levels of nitrogen. The manure breaks down quickly and enhances the light soils common to alpine and desert eco-zones. 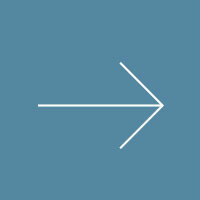 The reduced fuel consumption and equipment required minimizes transportation impacts.